Learn how to extend the functionality of your existing investment in Sage 300 ERP, by attending any of our free, or paid online training sessions. Our Product Seminars are always offered at zero cost. These online seminars can help you learn about additional Sage modules and/or 3rd party add on products. This is a great way to familiarize yourself with with ways to extend your system functionality. For more indepth training on topics related to how to use Sage 300, try one of our Monthly Webinars. The cost to attend these approximately 1 hour training sessions is $80 (zero cost for Equation SLA customer) and they are a great value, if you need training on a specific aspect of using your Sage 300 system. You can sign up for any of our scheduled events on our Training Events page. Simply, scroll down the calendar and click on any topic of interest. Just fill out the form on the page, and you will be sent a link to start learning. One of the many benefits of subscribing to an Equation Technologies Service Level Agreement (SLA), is that our Monthly Training Webinars are zero cost. If your organization is in need of a greater level of support click here to learn more about Equation's SLA. 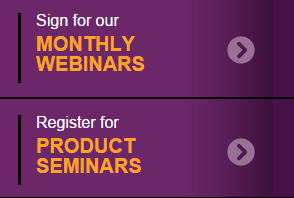 If you would like to learn more about our SLA's, or need assistance registering for any of our Monthly Webinars, or free Product Seminars, please contact Equation Technologies today.